Weddings with dogs are becoming increasingly common in modern weddings, and with good reason. 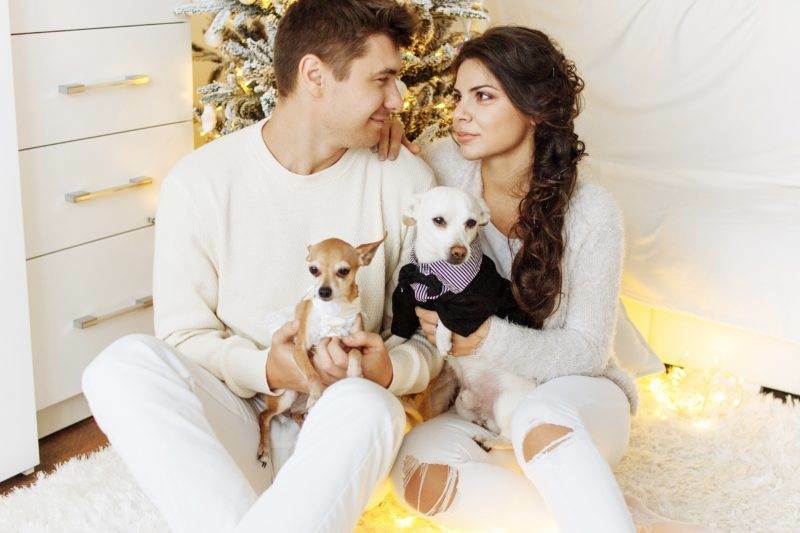 Your dogs are part of your family; why wouldn’t you include them in your special day? Make sure including your dog in your wedding goes off without a hitch with these ideas, hints, and troubleshooting tips. Your dog can sashay down the aisle with a flower headdress or a flowered wreath around the neck. Secure a velvet or satin pouch to your dog’s collar to present the rings at the altar. Ask your Maid or Matron of Honor to share the limelight with your dog while walking up the aisle. It will be an honor for her, especially if she already knows your dog well! One extra groomsman or bridesmaid may be most welcome, especially if your dog dresses the part. Invite the family dog to join Dad as he walks his little girl up the aisle. Regardless of the role your dog plays in your wedding, be sure to make sure your photographer records every moment! A solid plan is vital to including an animal in any event, let alone your wedding. Make sure to check these items off your list far in advance of your wedding day. While it might be tempting to surprise everyone with a special guest, take into consideration the likelihood that one or more of your guests will be allergic to dogs. Make an announcement on the wedding website or place an insert in the wedding invitation envelope to help spread the word. Imagine your disappointment if you didn’t find out until your wedding day that your dog is not welcome. Remember to check with the event venue to make sure dogs are allowed on the property. The last thing you need on your wedding day is to be responsible for a dog. Whether you hire someone or ask a trusted friend, make sure your dog has supervision before, during, and after the ceremony. Don’t forget, your dog is part of the wedding party! Make sure to get your dog groomed and bathed for the big day. Bring your dog to the wedding venue at least once before the ceremony. This way your dog will have familiarity with all the exciting new sights and smells! If you can include your dog in the rehearsal before the wedding, do it. As near and dear your dog is to your heart, the fact remains: your dog is a dog. That means your dog may be prone to unexpected or troublesome behaviors like chasing a squirrel, or (gulp) relieving himself in the middle of the aisle. Even if your dog acts like a perfect gentleman (or woman) throughout the ceremony, it’s better to be prepared than aghast if something unexpected happens. 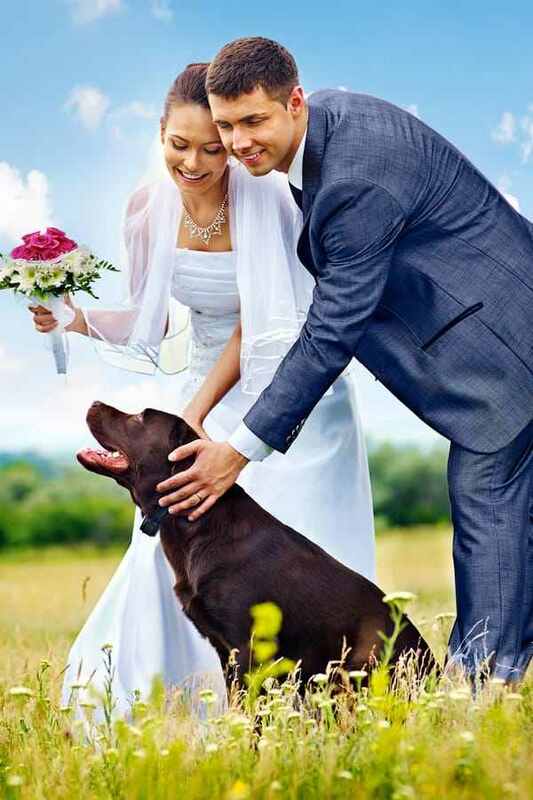 Your final tip is to enjoy, as weddings with dogs by their very nature are designed to be enjoyable events.